Philip borrows $300,000 with the intentton that it be used to acquire a unit in a new aparhnent building. He intends to lease the unit out to derive rental income. 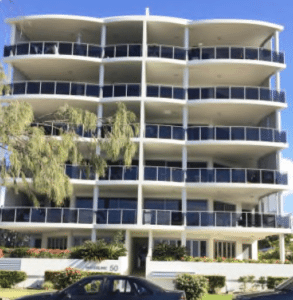 The builder has financial difficuldes and Philip is able to acquire the unit for $275,000, which he then makes available for rental Philip uses the balance of $25,000 to have an extended overseas holiday. purchase land on which to build a rental properly. George wants to claim a tax deduction for all of the interest on the loan on the basis that the loan was originally taken out to acquire the rental property. However, George can only claim interest on the loan of $120,000 because the $50,000 loan was for private purposes. Any interest paid in the future will be apportioned between the percentage applicable to the rental property (deductible) and that applicable to the car (non-deductible). The original aplpication of the borrowed funds will not determine deductibility where funds borrowed under a line of credit have been recouped or withdrawn from the orginal use and are reapplied for a new use. This might also occur upon sale of an asset purchased with borrowed funds. D = closing balance of total oustanding principal. on the investment componeni of the loan and applied all cash to the repayment of the private component (the interest in respect of which was non-deductible). Thus, the effect of the arrangement in this case was to re-characterise interest (on the home loan) that would have been otherwise non-deductible, as deductible. Therefore anyone taking out a loan to purchase a rental properly should carefully consider their financing arrangements, ln particular. avoid the mixing of accounts that have both deductible and non-deductible components. Professional advice should be sought before signing up to the loan as it is dificult to unwind arrangements that may turn out to be non-effective for tax purposes. There is no entitlement to receive interest paymenets or payments in the nature oif interest on the amounts credited to the deposit account. The reduction in the loan account interest is achieved by offsetting the balances of the two accounts. On 1 July 2016, Jimmy acquired a rental property that was funded by way of a 25 year loan. The initial loan amount was $300,000 and provides a loan offset facility such that any repayments can be made to deposit account. Interest is charged at the end of the month on the net balance between the loan account and the deposit account. During the 2015 – 16 income year, Juimmy made total repayments of $100,000 into the deposit account. Interest will be charged on the net amount of $200,000 (net balance between the loan account and the offset account), and Jimmy can deduct interest incurred on the net balance. Subsequently, on 1 July 2017, Jimmy redrew an amount of $100,000 from the deposit account to fund the purchase of a private motor vehicle. Provided that no repayments were made to the deposit account during the 2015 – 16 income year, Jimmy is entitled to a deduction for the interest incurred on the entire loan balance of $300,000. the payment is made to remove a recurring obligation of the taxpayer to pay interest on the loan.